2) SCS introduces the HH - "retro" blower around 1987. 3) Through the 90s other companies start making HH - "retro" blowers. 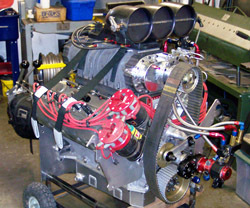 4) 1999 SSI builds the D rotor with a small top. 5) 2002 Kobelco makes k8 rotors and releases the superman for overdrive restricted classes.